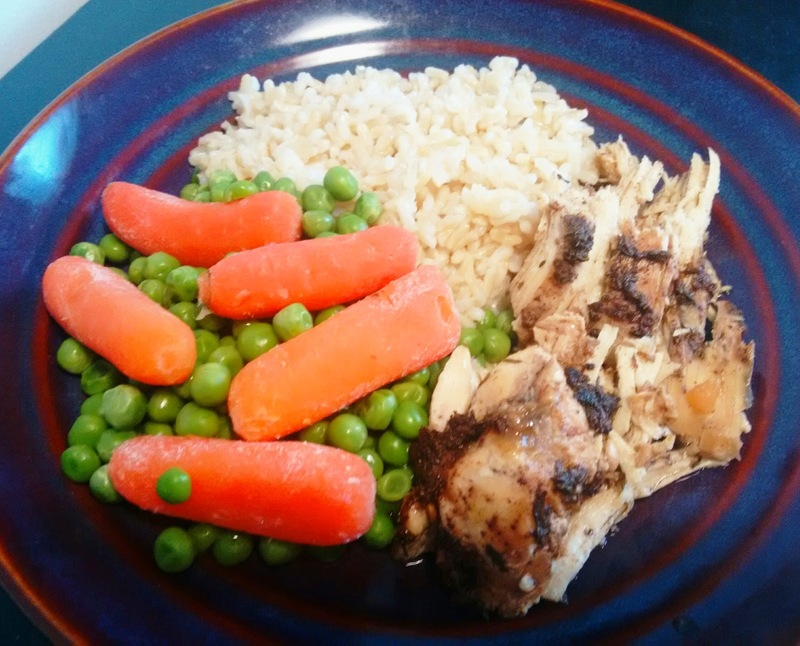 I've been craving jerk chicken for some time now, so I decided to give it a try in the slow cooker. I used boneless skinless chicken breasts, but you can use boneless skinless thighs as well. The spices came together beautifully! It was a great mix of sweet and spicy. If you don't have allspice on hand, you can substitute for 1/2 tsp cinnamon, 1/4 tsp nutmeg, 1/4 tsp ground cloves. Place chicken breasts in the bottom of slow cooker pot. Pour 1/2 cup water into bottom of pot. In a small bowl, combine all other ingredients and whisk together. Pour mixture over chicken. Use the back of a spoon to spread spices and herbs to coat chicken. Cook for 4 hours on high. After cooking time is complete, break chicken breasts up with a wooden spoon.